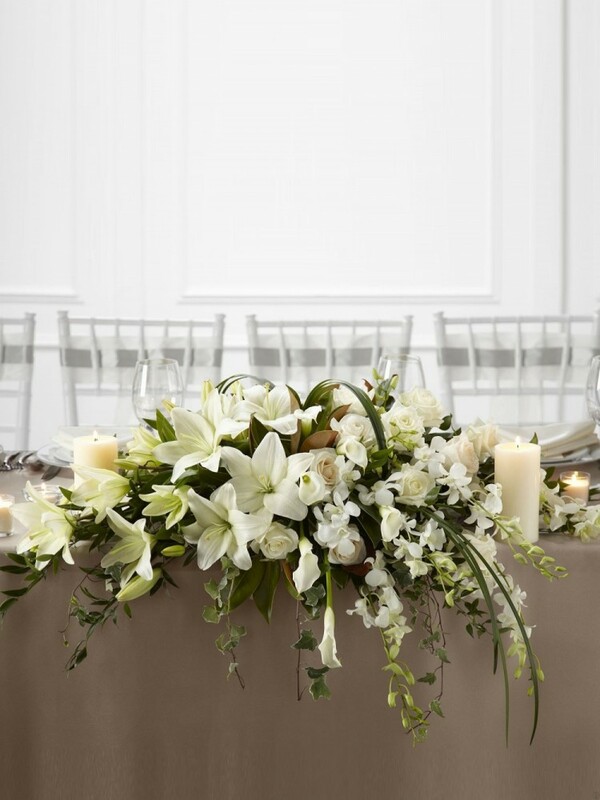 The White Linen Arrangement is the epitome of wedding elegance. White dendrobium orchids, asiatic lilies, mini calla lilies, and roses are accented with an assortment of lush greens and arranged to add to the décor of the wedding party's table with its sweet sophistication. Approx. 22"L x 40"W x 18"H.